Next up on Nang we are pleased to bring a really positive 3 year association with West Country collective Situation. Next up on Nang we are pleased to bring a really positive 3 year association with West Country, UK based collective Situation to a fruitful crescendo. 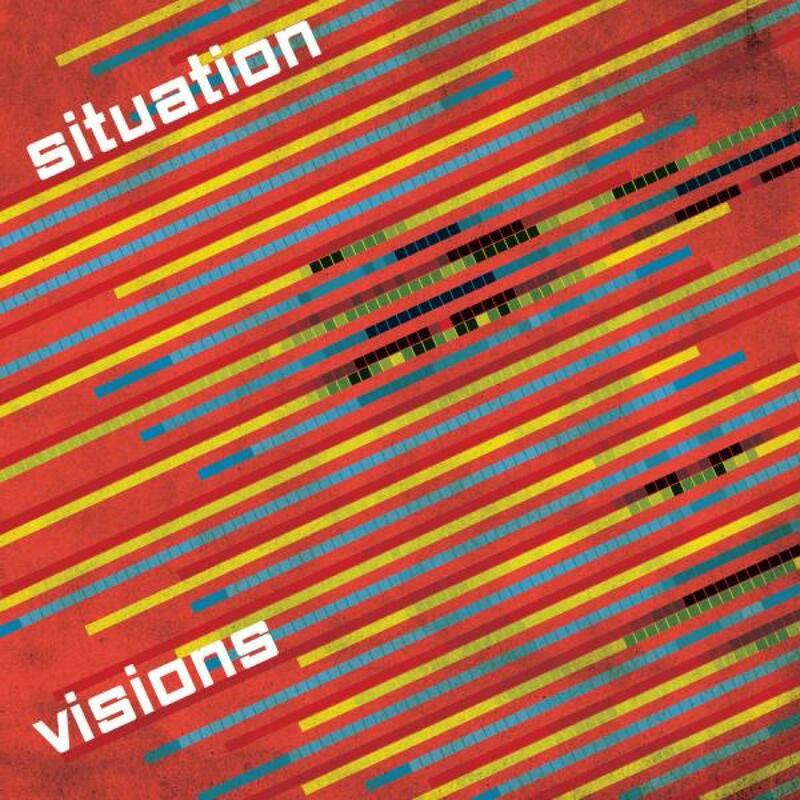 After 4 singles, numerous remixes and a couple of Beach Disco mixes we are extremely proud to present the new album from Situation - "Visions". Situation is live, DJ and studio collective made up of the core members Ben Vacara, Mr Mulatto, Dom Thompson, James Payne & Paul Walker, with Vocalists Lauren Rimell & Andre Espeut (Defected & Fools Gold Records). The crew got together in 2008 through a shared love of house, disco, funk & soul music. Based in & around Stroud & Bristol in the UK, the crew released their first Edit based single on Disco Deviance with huge support from DJ's including Greg Wilson, who featured their edits on a Radio One essential mix & Resident Advisor mixes. Their Edit "Pushin' On" which was a rework of an Alice Russel/Quantic track got snapped up by Tru Thoughts & released as an official remix. They then formed their own "Situation" label in 2009 with a string of successful edits, establishing themselves strongly within the worldwide edit scene, which they still continue with. They have now gone on to write more & more original compositions (as well as edits) & so in 2012 formed their new label "Situationism" which concentrates on original compositions & compilations from themselves & other established & up & coming artists. The album opens up with the arppegiated synth groove and smooth vocals of Lauren Rimell in "Bring Your Love Back". Expansive synth the perfect tone setter for the album to come. Next up "Work Through It" gives us the first taste of the soulful vocals of Andre Espeut. His smooth tones sit effortlessly over the stomping grooves, house pianos and brass stabs. Situation first came to our attention when we heard their "Barcelona" track in 2012. We were blown away with its Balearic grooves and signed it as their debut single with us. This track is next on the track list sounding as fresh as ever. "Get To Know" features a catchy vocal top-line, jazzy Rhodes and locked-on synth bass melded in perfect unison. "Here Comes The Sun" does exactly what it says on the tin with its sun drenched grooves, summertime Rhodes and lazy guitar. "Standing Here Baby" has Andre back on the soulful vocals this time over a walking synth bass and burbling synth swells. Title track "Visions" takes things on a housier, dancefloor excursion. Next up is a cover of the Inner City classic "Good Life". The Situation re-rub features the stabby synth of the original but adds layers of new dimension with its driving analog saw tooth bass synth and dancefloor sensibility. "Stay With Me" takes things on a jazzier detour whilst we lean towards the 80s with the big synth and snare fills of "Secret Situation Part 3". Things close off with the perfect closing nightcap of the evening vibe grooves and soaring vocals of Lauren Rimell. The Situation album also comes with its sister companion release "Revisions" which features the remix highlights of the album tracks and some brand new ones commissioned specially for the 2 X LP vinyl release. Written by Dom Thompson, Ben Vacara, Lauren Rimell & Stephen Wilson. Produced by Situation. Vocals by Lauren Rimell. Published by Dharma Songs. Written by Andre Espeut, Ben Vacara, Steve Wilson, Dom Thompson & James Payne. Produced by Situation. Trumpet by Emma Ordonez. Trombone by Katie Vacara. Published by Dharma Songs. Written by Ben Vacara, Lauren Rimell & Stephen Wilson. Produced by Situation. Vocals by Lauren Rimell. Guitar by Matt Eaton. Published by Dharma Songs. Written by Lauren Rimell, Ben Vacara, Steve Wilson, Dom Thompson & James Payne. Produced by Situation. Published by Dharma Songs. Written by Kevin Saunderson. Produced by Situation. Vocals By Lauren Rimell. Published by Copyright Control. Written by Ben Vacara, Steve Wilson, Dom Thompson & Lauren Rimell. Produced by Situation. Vocals By Lauren Rimell. Published by Dharma Songs.